Some of you might remember the 1983 motion picture “Star Chamber” starring Michael Douglas and Hal Holbrook. It is about a secret cabal of judges—a Star Chamber—that metes out its own brand of justice against those it determines have wrongly been set free; usually on a technicality. All is fine until the clandestine judges set their assassins lose on two criminals who were actually innocent of the crimes they were charged with (but guilty of other crimes nonetheless.). Michael Douglas’s character leaves the group due to a flash of morality. But the Star Chamber carried on anyway. The movie was based on a real English court that operated from the sixteenth century and up until 1641. 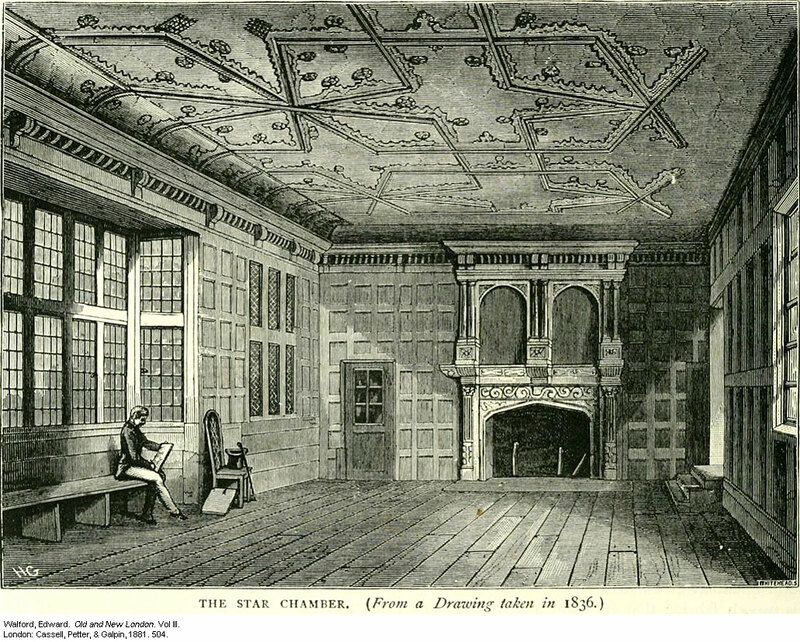 It was housed in a room in Buckingham Palace called the “Star Chamber;” so named because of the stars painted on the ceiling. “The court was set up to ensure the fair enforcement of laws against prominent people, those so powerful that ordinary courts could never convict them of their crimes. Court sessions were held in secret, with no indictments, no right of appeal, no juries, and no witnesses. Evidence was presented in writing. Over time it evolved into a political weapon, a symbol of the misuse and abuse of power by the English monarchy and courts”. In my opinion, it may be the case today that our nation, The United States of America, has established something very similar to the Star Chamber. And it has been operating for a long time. Consisting of persons at the highest level of our government, there has been a camarilla of self-appointed “judges” who make life and death decisions concerning individuals around the world, including Americans, without the benefit of due process and in violation of international law. As to Americans being the victim of this ad hoc panel of ignoble officials, a seminal event occurred in September 2011, that shined a bright light on this issue. 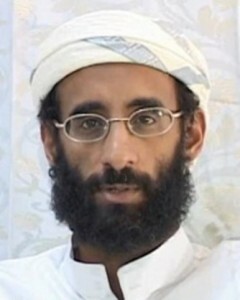 Sometime during that month, a missile strike from a U.S. drone killed a Muslim cleric named Anwar al-Awlaki, who was an apparent operative of al-Qaeda, but more importantly an American citizen, who was then hiding in Yemen. He was accused of plotting attacks against the U.S. Of course, the fact that our government can designate and then assassinate American citizens living (or hiding) in other countries without the benefit of their Constitutional rights has caused something of an outrage by the defenders of civil liberties. In fact, the ACLU has filed suit to require the CIA to respond to its Freedom of Information request for details about who was involved in the decision-making, what facts were considered, what the legal justification was, etc. But the CIA, as only the CIA can, simply uses what has become known as the Glomar response, “We can neither deny or confirm . . .” It’s all top-secret, don’t ya know. Note the use of the terms “conviction,” “testimony,” and “open court.” Even traitors get due process. Well, what if the neer-do-well Anwar al-Awlaki was hiding out in Canada? Would we send a fully armed drone up there to take him out? How about in Russia? Switzerland? OK, if a missile is too much, how about Seal Team 6? If not, then are we to further apply your “judicial process” only to selected Middle Eastern or African countries? Moreover, General Holder’s position lets us conveniently bypass our extradition treaties with other countries. The problem is that most of them, like the more civilized Canada and virtually all of Europe, deny extradition back to the U.S. if the accused may be subject to the death penalty. 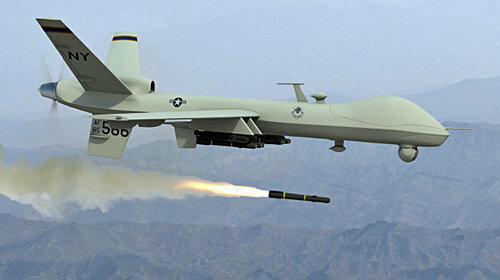 But, hey, who needs extradition when you’ve got an unmanned drone armed with guided missiles? It seems to me that Holder predicates his theory on the notion that when American bad guys are holed up in other countries, the Constitution does not apply. Under that argument, as part of our war on crime, for example we could go over to Sicily to hunt down and kill Americans who we are pretty sure are in the Mafia, and who we think might be planning to murder someone in the U.S. Likewise with the war on drugs, where we could hunt down and kill Americans who are suspected of belonging to drug cartels and who may be hiding in Mexico or any number of Central and South American countries. But in prosecuting these two wars we don’t do that. In fact, the New York Times reported last December, “A suspect in the February (2011) killing of a United States immigration agent was extradited to the United States from Mexico and ordered held without bail,” pending trial. So, it appears that the Constitutional protections that apply to the subjects of law enforcement operations don’t apply to our military. Hmmmm. In fact, most of the civilized world respects the rule of law. Consider Israel for example. 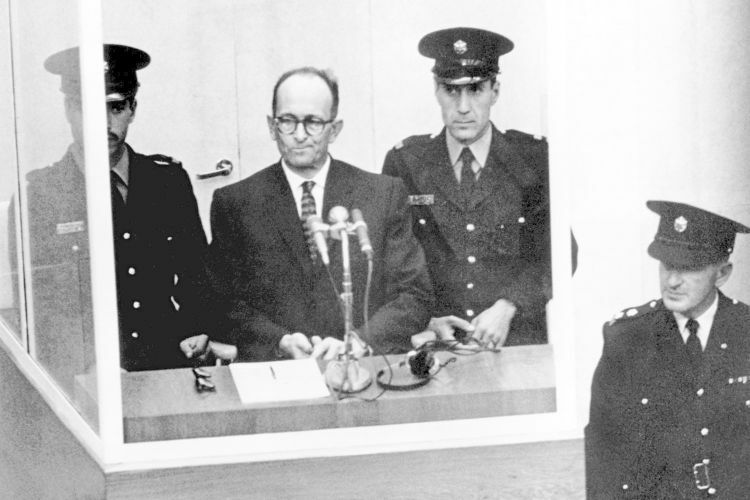 The Mossad, which is Israel’s equivalent of our CIA, has hunted down, captured and then returned many suspected Nazi war criminals back to Israel for a trial; thus giving them their day in court and honoring due process. Even Iraq, after its “liberation” by the U.S. military, er, Coalition Forces, and using its shiny new constitution, gave the cranky Saddam Hussein a proper trail. And these guys were not just “planners.” They were, as President Bush would say, really bad “evil-doers”. Of course, the U.S. mostly spins international law like the Common Article 3 of the Genova Conventions (which outlaws inhumane treatment and torture) to fit its own needs. And it has never recognized the International Criminal Court. Heck, we can’t even figure out how to try enemy combatants in our criminal courts rather than in military tribunals. Regarding the latter point, Colin Powell has noted that, “Of three people tried In military court in eight years, two served relatively short sentences and are free, and one guy is in jail.” And we continue to ignore the fact that even cruel dictators like Chile’s Augusto Pinochet and Yugoslavia’s Slobodan Miloševic were accorded due process under extradition treaties. Then there is the problem of getting bad information and killing the wrong people. Everybody knows that we legally execute some people in this country only to find out later they were innocent of their crimes. This, even after the legal system is strained to its limit in protecting due process. But there are no do-overs here. The war on drugs and the war on organized crime are carried out by law enforcement. But with all the hysteria and existential angst after 9/11, the war on terrorism has been elevated to a status deserving of military action. We have created a vast complex of military, intelligence, and security operations aimed at terrorism. In my opinion, through the Patriot Act, and other related anti-terrorist legislation, our Constitution has become another casualty of this war. Vengeance is slowly eroding the rule of law. We have become international vigilantes. 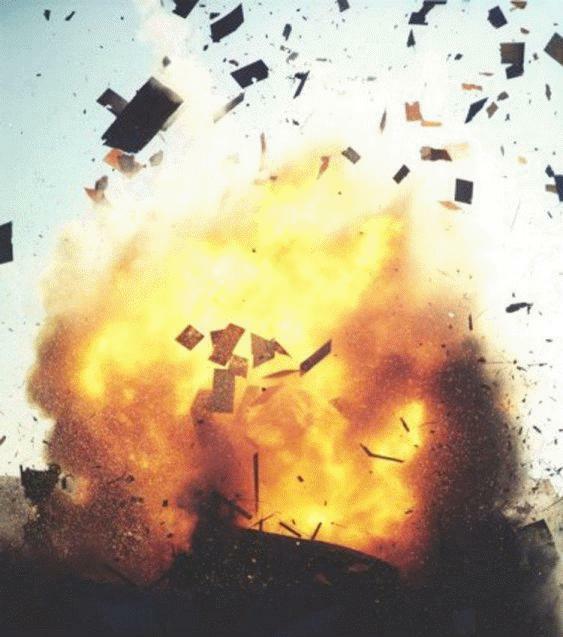 Some time ago, a friend asked me, “As a direct result of the Patriot Act, enhanced interrogation and warrantless wire taps, how many American lives so you think have been saved or grievous injury avoided?” My answer to him was that it would be the same number of lives that would have been saved by following the Constitution. Neither situation can be proved one way or the other. Of course, the latter protects everyone’s liberty, while the former denies it. The right to a trial by jury, due process, facing your accusers and Habeas Corpus go back 800 years to the Magna Carta. Those rights and many others have been incorporated into our Constitution’s Bill of Rights. They may be inconvenient for law enforcement and the military, but they are there to protect you and me and anyone anywhere who is suspected of being a criminal (or a terrorist) but is not one until convicted by a jury. But it’s the people at the top — the generals, the CIA director, the Secretaries of State and Defense and Homeland Security, the president, and others – who call the shots (pun intended). Hiding behind questionable interpretations of the law, they mete out their own brand of justice. They meet in secret, with no indictments, no right of appeal, no juries, and no witnesses. They are the new Star Chamber. And they can ignore the law and use unmanned, heavily armed drones to kill Americans. It was in the palace of Westminster which is the building which encompasses the house of lords and the house commons the upper and lower houses of parliament respectively, this building was burnt by a fire but the chamber had already been demolished and the ceiling, doors etc are now in different buildings and the building was rebuilt.